On the way up to the Gornerglacier, at Riffelsee, an almost perfect moment. 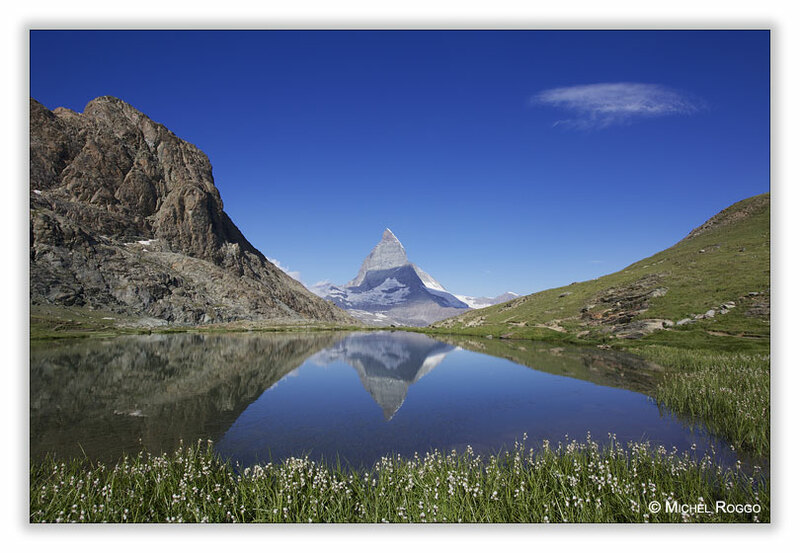 This is a very popular location for a picture of the Matterhorn with the lake as a mirror. But there was this tiny cloud, and even more important, an other cloud making a shadow exactly on the Matterhorn in the far distance. But I was on the way to the glacier, for meltwater channels or ponds. 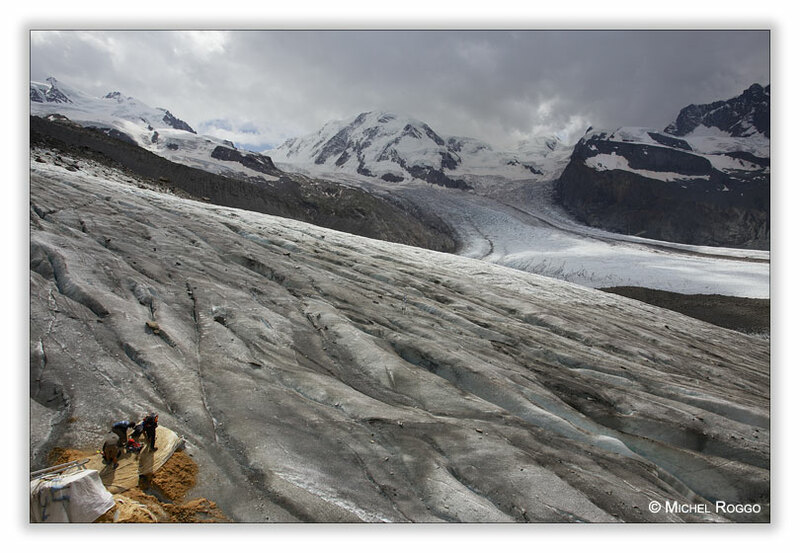 The glacier is melting very fast, what you see in the picture with people preparing to walk over the glacier. There are blankets, protecting the ice from melting at the place where a ladder allows to go over a crevasse. 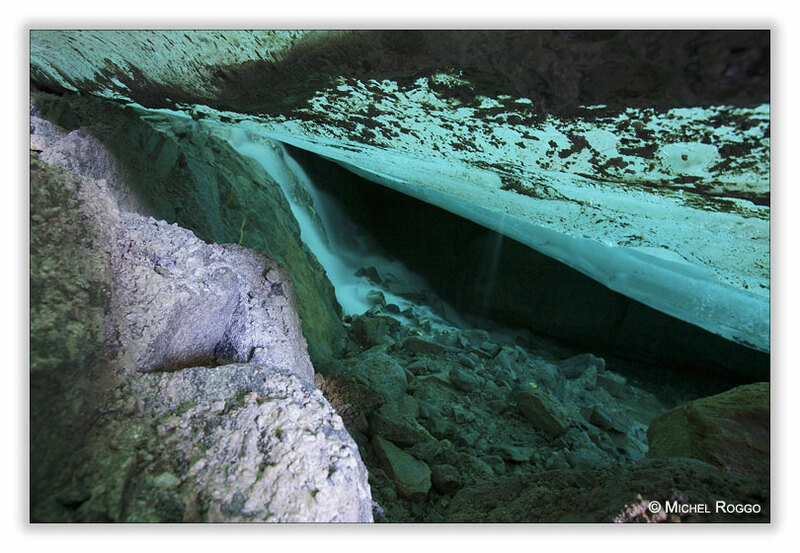 Finally, I found a place to go under the glacier, to have a view of the flowing meltwater. I made some images, handheld, exposing for 3 to 5 seconds or so. Not a perfect picture for sure, but a beginning. I have to go back to that very special location under the glacier to improve that image.